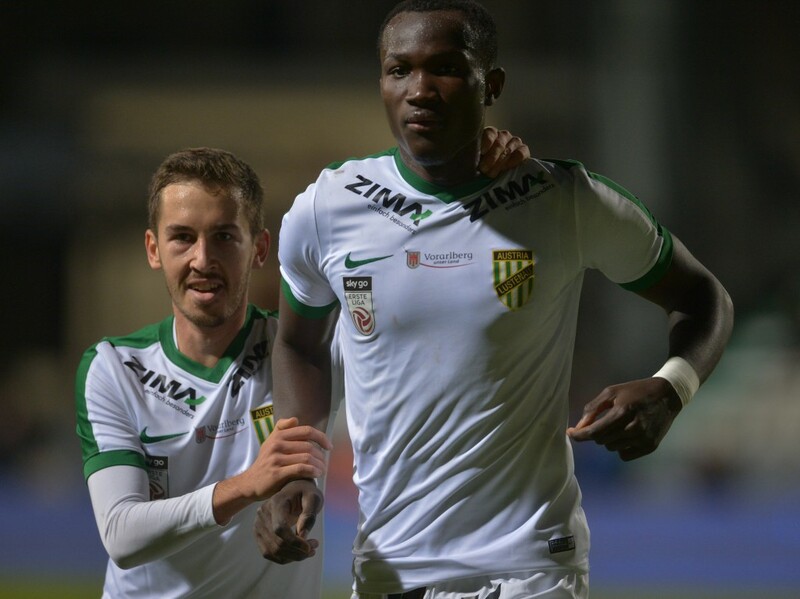 On-fire Ghanaian striker, Raphael Dwamena, underlined his form as a top striker by scoring a hat-trick to power Austria Lustenau to a 4-2 win over Wattens in the Austrian second-tier league, Friday. The 21-year-old, who was overlooked by Ghana coach, Avram Grant for his crucial 2018 FIFA World Cup qualifier squad against Egypt, has now notched seven goals in his last three games for Lustenau and has scored two hat-tricks, this season. The prolific goal-getter has now netted 18 goals in all competitions for Lustenau but leads the goal king chart in the league with 16 goals. His goals are steering Lustenau to promotion, as they have established a commanding lead at the summit of the table. The former Red Bull Salzburg youngster expressed his aerial command to head home a cross in the 27th minute at the Gernots Langes Stadium after the hosts had taken an early lead. Dwamena restored parity for his side in the 70th minute when he swiftly capitalized on a goalkeeping howler to round up the custodian to score. He then chested down a cross from outside the box and fired home the third in the 81st minute before he assisted the fourth goal to put away the game.